Timely access to adequate health care is crucial for veterans and their families. 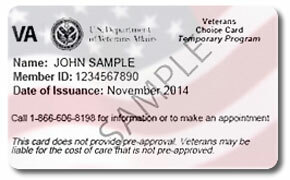 In November 2014, the VA Choice Program was implemented. The VA Choice Program gives veterans the option to receive health care from a private hospital, physician or specialist rather than waiting for an appointment at a VA facility or traveling a driving distance greater than 40 miles from the closest VA facility. The VetsHQ Choice Mileage Calculator determines the driving distances from their homes to the nearest VA health care facility for veterans and their families. You’ll find our tool also contains addresses, website information and operation hours for each of the nearly 1,500 VA hospitals and clinics across the nation. To start, just enter in your home address and click “Find VA Hospitals & Clinics.” You can select the facility you want to see by clicking on it in the left-hand column. That also highlights it on the map. If you need driving directions, just click “Directions” to calculate the correct route from your home to the facility. Find a VA facility listed that needs its information updated? Please let us know. If you are eligible and choose to use a non-VA health care provider, you must call the VA at 1-866-606-8198 to make sure you qualify and schedule an appointment.